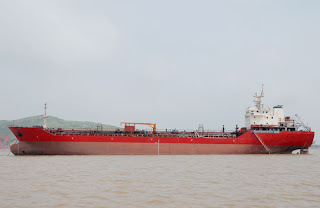 Chemical tanker from category II specified by Marpol and IMO is the one, which we receiver offer that this ship is for sale. The Maritime Transport is pretty fast developing part of transportantion and logistic part of economy. Ships for sale are the most rare good, which is trading around the markets. The chemical tanker, which we are offering to you has an overall length of 132.00 meters and length between perpendiculars of 124.00 meters. 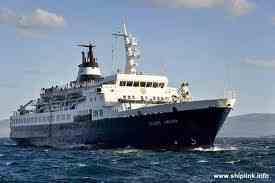 The beam of the ship is 19.80 meters and the depth is 10.00 meters. The vessel has draft of 7.60 meters in the summer, while she is fully loaded. The deadweight is 11,000 m.t., Gross Tonnage is 7,099 g.t.and Net Tonnage is 3,919 n.t. 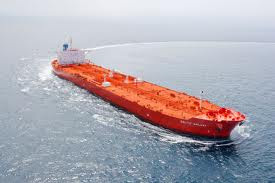 The vessel has a cargo capacity for 11,676 cubic meters divided into 10 tanks (5 starboard and 5 port). The slop taks have capacity for 379.64 cubic meters. The balast tanks are with full capacity of 4440.3 cubix meters and the oil capacity is: heavy fuel 376.4 cubic meters, diesel oil 135 cubic meters. This is only a little information, which we can give to you for this vessel, but more you will get only after contact with us. The vessel is designed and constructed with new generation style. The efficency is very high and the profitable of this vessel will be perfect. Fuel consumption is decreased and lub oil consmption too. The investor is offering 3 chemical tankers with same characteristics. The vessels are at prices of 24,350,000 US Dollars, 24,360,000 US Dollars and 24,400,000 US Dollars. If you are interested in this offer do not hesitate to contact with us by e-mail and later with telephone.